The Barker – Why Do Dogs Bark? Dogs bark – there’s no getting around it. It’s one of their ways to communicate verbally. If he’s a terrier, he’s likely a barker. If he’s a small dog, he’s likely a barker. The reality is that there dogs who are predisposed to barking. Whether it’s a mail person or simply a passerby, they may bark…just because! Don’t fear, however, because they can be trained to limit their barking. This takes persistence and consistency on your part, as the pet parent. And let us be clear that barking is okay, when it’s appropriate. It’s natural for them, so we don’t want to unnaturally curtail their innate behavior. My oh my…these are some of the most troublesome to neighbors who are directly next door, and not to mention to the dog as well! There are certain breeds that were bred to work all day long, and so if they’re not given the proper mental and physical stimulation, they will bark and they will also be physically destructive to things in your home. Some dogs are bred for companionship and when they are left alone for long periods of time, they tend to exhibit the same type of behavior. Try leaving them some safe toys that hide treats. The Kong brand comes highly recommended for this type of anxiety relief. 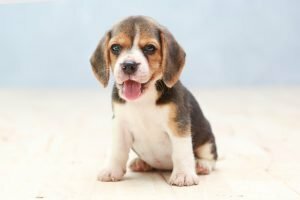 A lot of small breed dogs like Beagle puppies will fall into this category. To most, it will seem like they’re barking out of aggression, but to us and other professionals in the industry, they’re barking out of fear. You know the saying about “being a big dog in a little dog’s body?” Those dogs typically fit this bill. They really need proper socialization to help with this behavior. They’ll become pleasant little pups to take on a stroll instead of being known as the neighborhood terror!